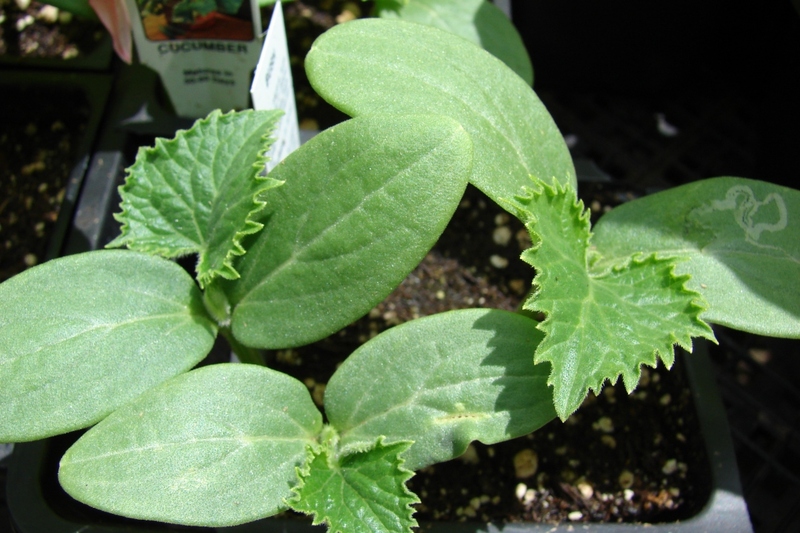 Pickling Cucumber (Cucumis sativus 'Cornichons'): growing, planting, caring. Pickle cucumbers are actually cucumbers, harvested very early! 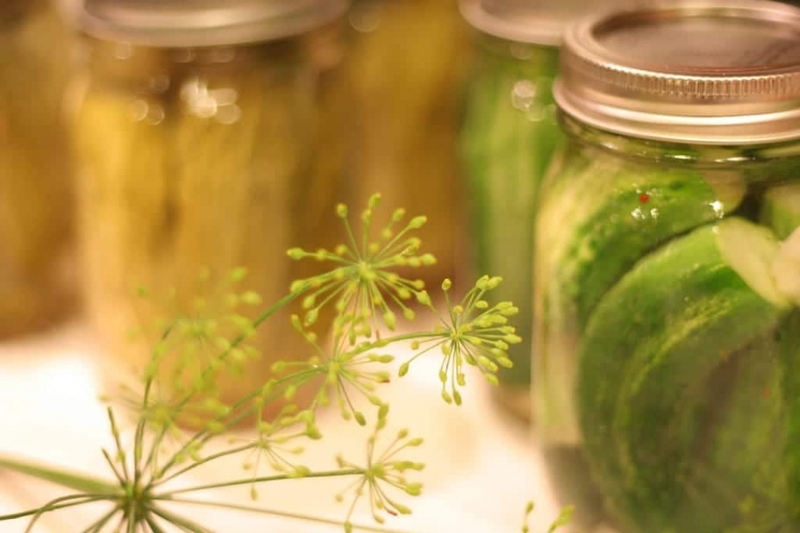 Some varieties are better suited for making pickles. Plant with creeping stems, equipped with tendrils to hang on a support. The leaves are palmate, lobed, soft and hairy, the flowers are yellow and give green, cylindrical, thorny fruits. 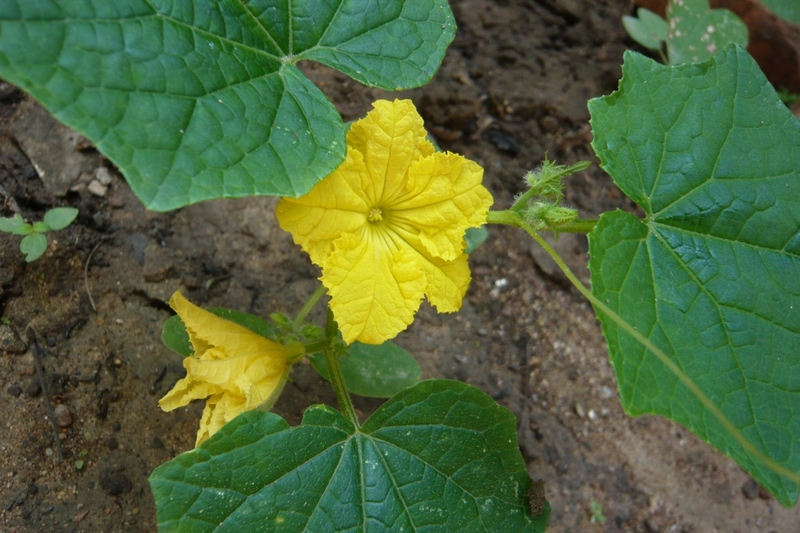 The flowers are yellow and produce green, prickly cylinder shaped fruits. Cucumbers and pickles are in fact the same plant, picked during different periods. Suitable varieties include the "Petit Petit de Paris" pickle, the "Fin de Meaux" pickle, or the Russian pickle, perfect for preparing Russian pickles! Thinning after two to three weeks may be necessary to remove supernumerary plants or to transplant them eventually. Prune when the plant has 5 leaves: cut the main stem after the 4th leaf and proceed in the same way for the following few stems. It is recommended to keep only 4 fruits per branch for an optimal growth! Gherkins, like cucumbers, enjoy regular but limited watering: let the soil dry between waterings. Also take care not to wet the foliage to avoid disease! Pro tip: never water in full sun: it can burn foliage and it wastes water. Water in the evening, but not too late, to avoid the risk of mildew - which often happens if the foliage stays wet at night. Mulch between the plants, one to two weeks after the final planting, using a mulch that retains moisture well. This will limit evaporation at ground level, and therefore the need for watering and weeding. Harvest when the pickles reach 5 to 8 cm. Collect them without waiting! Various diseases are quite common among pickles! Mildew, unfortunately very common, causes brown spots on the leaves. Mildew is noticeable with a kind of white felting on the leaves. Baking soda can prevent the formation of spores of the fungi responsible for these diseases. Mix 5 g -1 tablespoon shaved about - of baking soda per liter of water and add 1 teaspoon of liquid Marseille soap, milk, or horticultural or food oil so that the solution clings to leaves. Spray this solution under and on the leaves and renew after any heavy rain. The pickle is also devastated by white flies. Natural remedy: we can plant nearby marigolds that will repel these insects. Once the last fruit harvested, you can remove the plants, to give way to the fall plantations! Compost unless the foliage shows signs of disease.